Hunt Mortgage Group, a leader in financing commercial real estate throughout the United States, announced today it provided a loan in the amount of $20 million to refinance an affordable senior housing property located in Montebello, California. 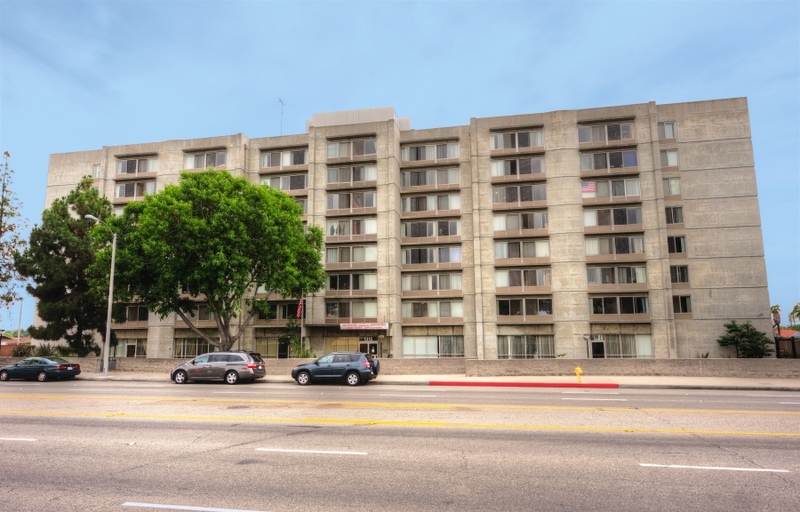 Beverly Towers is an age 62+ Section 8 LIHTC affordable multifamily property located at 1315 West Beverly Boulevard. The property has 189 units and is comprised of one, eight-story high rise building. Built in 1975, the property offers 133 one-bathroom efficiency units and 56 one-bedroom, one-bathroom apartments. Beverly Towers also contains leasing and social services coordinator offices on the first floor. The property currently operates subject to a HUD Section 236(e)(2) use agreement that became effective in 2003 when the pre-existing Section 236 financing was retired. Terms of the agreement that the owner continues to agree to accept the Section 8 HAP Contract project-based rental assistance and continues to make the housing affordable to tenants whose income is 80 percent of median income or lower. The borrower is Montebello Senior Housing, LP, a California limited partnership backed by key principal Stephen Doty. Doty is President of Doty-Burton Associates development corporation as well as the Chief Executive Officer of Living Opportunities Management Company (LOMCO), a full-service property management company that currently manages the property. Kent Davis serves as President of LOMCO and is responsible for refinancing acquisitions and property management opportunities. The property has historically benefitted from a project-based Section 8 HAP Contract. The borrower is currently in the process of applying for a new 20-year HAP Contract in conjunction with this transaction. Property amenities include on-site leasing and management offices, central laundry facility, community room area with kitchen, game room with pool table, ping-pong table and exercise equipment, library room with large screen TV and an outside community garden. Parking is provided via 76 self-serve surface spaces with four handicap van accessible spaces. Beverly Tower is located in Los Angeles County, in the southwest portion of the Los Angeles MSA. The property is situated in the central portion of the city in a mixed-use area of commercial, industrial and residential uses. The community is conveniently located on West Beverly Boulevard with high visibility and easy access to local services and conveniences throughout Montebello. Hunt Mortgage Group, a subsidiary of Hunt Companies, Inc., is a leader in financing commercial real estate throughout the United States. The Company finances all types of commercial real estate: multifamily properties (including small balance), affordable housing, office, retail, manufactured housing, healthcare/senior living, industrial, and self-storage facilities. It offers Fannie Mae, Freddie Mac, HUD/FHA in addition to its own Proprietary loan products. Since inception, the Company has structured more than $21 billion of loans and today maintains a servicing portfolio of more than $13.4 billion. Headquartered in New York City, Hunt Mortgage Group has 232 professionals in 24 locations throughout the United States. To learn more, visit www.huntmortgagegroup.com. Click here to register for our FREE Weekly E-News. 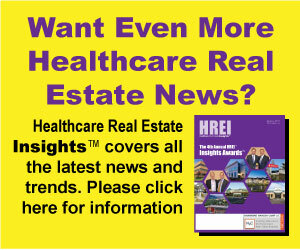 To subscribe to the monthly HREI magazine for even more comprehensive news and analysis, please click here. Copyright © Wolf Marketing & Media LLC 2002-2019 Healthcare Real Estate Insights.